The semi-steel tire market made a good start in 2018. In H1 of 2018, Hixih Rubber Industry Group’s tires rolled off the production line. Linglong Tire initiated the tire project. Michelin Tire started the capacity expansion project. Tire producers were still aggressive about semi-steel tire capacity expansion. According to SCI, in H1 of 2018, the operating rate of the semi-steel tire industry was around 70%. The output reached 253.69 million pieces, up 5.45% Y-O-Y. Besides, tire producers bore decreasing cost pressure as feedstock price fell. They made more profits, and the profit growth at some listed producers was even in two digits. In recent years, the violent capacity expansion found resistance against the financial strain and lack of brand effect. The investment fever cooled down. The development became rational until 2016, and market confidence was restored. What are the changes in supply-demand pattern? What will happen in the future? Will the high growth of semi-steel tire demand be maintained? How will the trade spat influence the industry development? All these answers will be found in the report. Currently, SCI has accumulated production-sales-stock data by a scientific and moderate way and verified the data via real-time visit and investigation. In addition, data related to upstream and downstream industries is also updated synchronously. Meanwhile, SCI also focuses on the hot news as well as policies of the semi-steel tire industry. Based on the above, SCI has analyzed China’s semi-steel tire market via a professional, independent and reliable way. 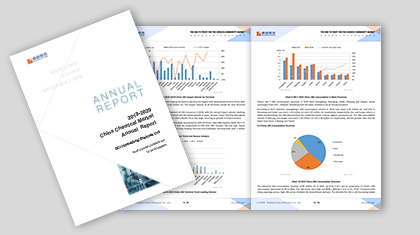 Featuring in-depth analysis on development as well as insights into new opportunities in the semi-steel tire industry, this report will provide all players with the analysis they need to form future plans. (1) The changes in capacity and output in the past 5 years will clearly show the production and development of China’s tire producers. (2) Multiple analysis on price driving factors will present the performance of the semi-steel tire industry and help to assess the correlation between related industries. (3) The unique data collected by SCI involves operating rate, inventory, sales volume, etc. and provides the actual market movements. (4) By tracking international trade events and analyzing export market in the past 5 years, the market trend will be restored. (5) The newly added capacity in the next 5 years will show the development of the industry. (6) Spotting major industrial data, SCI will provide valuable reference related to capacity, output, import & export volume as well as consumption volume. (7) Eyeing on latest industrial hotspots and policies, this report can help to comprehend key changes in this industry.